A good looking, well presented lawn can really help to turn your garden into a space you love to spend time in. And in modern, low maintenance gardens, it is often the lawn which is the main focus of attention. At Ernest Doe we can help you establish a lush lawn by offering you top quality grass seed, the fertiliser to make it grow and the moss and weed killer to keep it looking good. To help you make a superb lawn or lush paddock we offer a variety of grass seed from manufacturers such as Evergreen and Horsemax. When it comes to lawns there is a choice of general and multi-purpose seed, seed for shady areas and fine lawn seed. For larger areas and paddocks we have special mixtures of Pro Grass with rye and mixtures suited to horse grazing. There is a range of Evergreen products including Evergreen Complete, Evergreen Cut & Feed, and Evergreen Autumn. 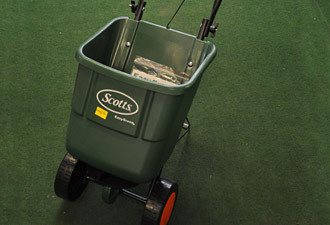 Additionally we sell a range of fertilisers from Scotts (Everris). Many of the products in their Landscaper Pro range feature controlled release nutrients. This means no growth peaks and no sudden drop off of nutrient availability. The result is a stronger turf plant with hard top growth which is tolerant to wear and tear and with a reduced risk of scorch. In order to help garden plants establish and grow we offer compost from Evergreen and Levington, fertiliser from Growmore and plant food from Miracle-Gro. A great selection of quality compost and fertiliser products. We stock composts from a range of respected brands including Levington, Doff, Evergreen, Miracle grow and many others. 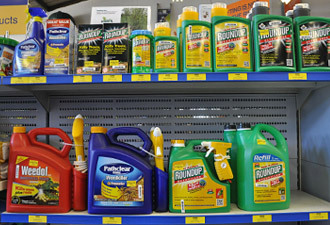 If you are battling with weeds in grass or on paths and drives, we have the weed killers to help, including Roundup, Weedol and Pathclear. A rotary or drop spreader will help you spread your seed or fertiliser accurately. We have small spreaders that you can push and walk behind as well as spreaders which can be used in conjunction with a ride on mower or garden tractor. 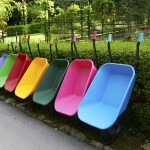 Select your spreader below to see more information. We stock a full range of lawn and garden care products at our stores in Norfolk, Suffolk, Essex, Kent, Surrey, East Sussex, West Sussex, Hertfordshire and Cambridgeshire.